A no-nonsense guide to everything you need to know about writing to be published. Universally praised by agents, publishers, tutors and writers. Aimed at adults. I am unappealingly proud of being the first Google result for the phrase Crabbit Old Bat. As you will know if you follow my blog, Help! I Need a Publisher!, I do not suffer fools at all, let alone gladly, and I believe that you only deserve publication if your book is up to scratch and if there are readers for it. Publishers say yes only when they believe they can find readers for your book; your job is to make sure you’ve written something that readers will buy. You might also like the ebooks Write a Great Synopsis and Dear Agent. Write To Be Published aims to give you the tools and understanding you need. If you want to understand why publishers and agents so often say no, and thus have a better chance of making them say yes. If you want to discover any problems in your book and avoid them in future. If you are ready for hard work and prepared to have your eyes opened. If you simply want to write the best possible book, one which will attract readers. If you want to know the best ways to submit your work once you’ve made it wonderful. If you can cope with my crabbitness, irreverence and impatience. This book is currently out of print but will be back. Write to be Published has had some wonderful feedback and is recommended by many publishers as the book all aspiring writers need to help them be published. Some examples follow and you’ll find more on Amazon. So informative without a patronising tone which is in so many writing books. / Great book by for anyone serious about writing / just read chapter on submissions. Brilliant, very, very funny and unexpectedly moving! 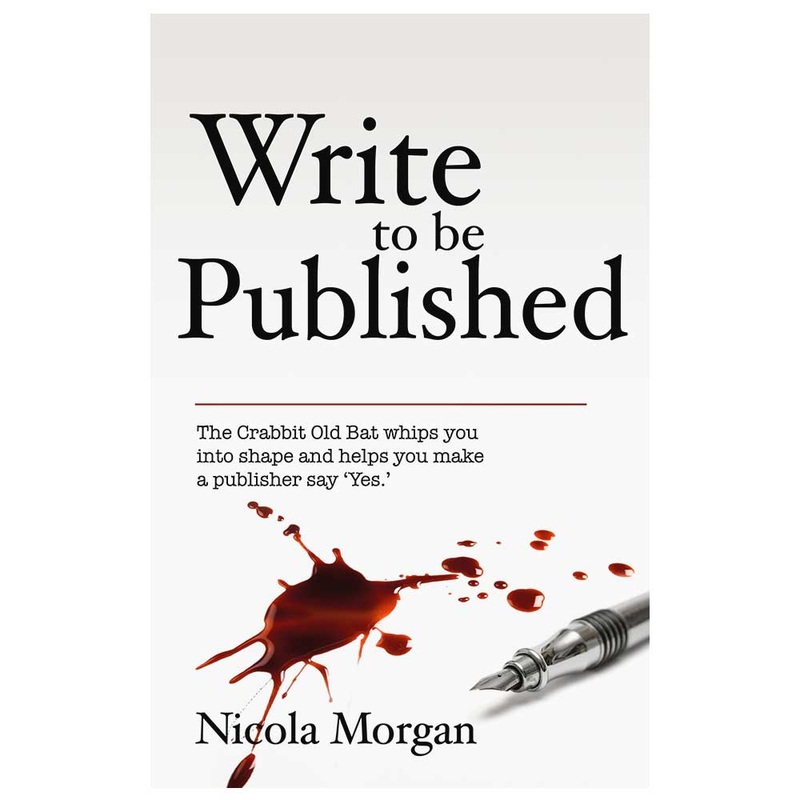 / one to read – and keep reading – a #writingbible for anyone who is serious about writing / I’m loving #writetobepublished / whips your work into shape with humour, honesty, grumpiness and CHOCOLATE. ” That last part totally sold me. / Everyone buy it now. nicolamorgan knows her stuff / It’s a great book. I’ve just dipped in and already I’ve realised there are a few mishaps in my own manuscript. Thank you. /Rare to find so much wit and wisdom in one book. /It is brilliant. But you’ll be spitting (as I was) that you didn’t read it some years back / awesome. My mum treated me to a copy and I’ve only been putting it down to eat and tweet! Thanks! / It was terrific. Helpful, to the point, funny and well organized. I felt almost as if I had sat down and spent some time with you / Just finished the brilliant Write to be Published. Full of honest advice without the need for toffees, teabags or glitter.